Customers are sometimes confused and seeking answers to what service can help them, they are looking for reliable information from people that can be trusted. The developers of Quora for this purpose have integrated a voting mechanism for the quality of answers where users can vote up an answer. It integrates Facebook, Twitter and LinkedIn so it is easy to catch up with friends also which builds trust and legitimacy for the user. Now, it is up to you here, if you build good trust among the users by sharing your expertise and giving users the content that they are looking for. Quora allows you to give direct answers to anyone asking about your product or service. The more answers and the better content, the bigger will your influence be. Search Engines: Bing has integrated Quora questions and to their social sidebar. Bing is using Quora as a platform to pose legitimate answers to search queries and to help the user get what he desires in a search result. 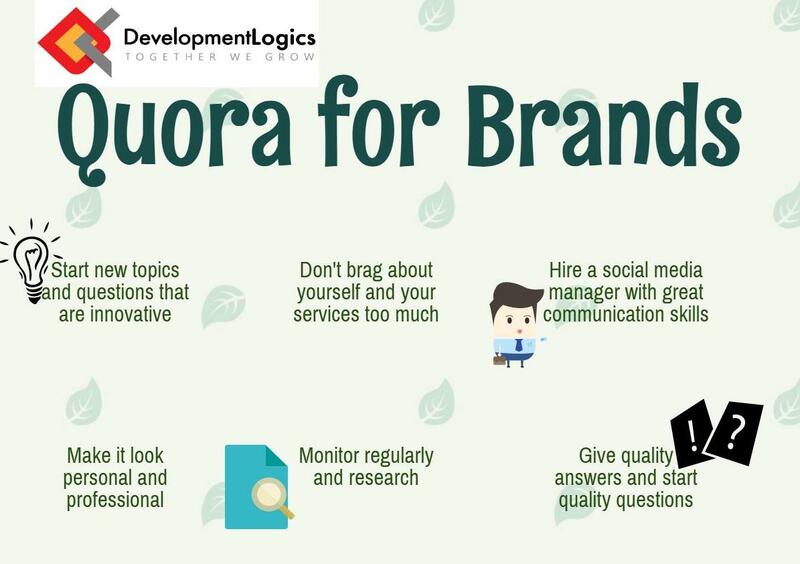 The most common users today log on to Google for something like: “How to” or “What is” and Quora is the right place for these answers most of the times. The probability that your name reaches the people crosses the limit of your website views in this case. Know about your competitors and yourself: Just like you can keep an eye on what your competitors are doing, you can also monitor what people are saying about your own brand by setting up a Google alerts for the query “Quora Your Brand Name”. You can also know about what users seek answers to in your industry and furnish those answers in a crisp and clear manner. Build an audience: When you answer well, users will follow you and your answers and upvote. If all of this is done in a good manner, if not business, at the least it is going to bring you a reputation of the brand that answers questions and helps. A good reputation among customers and the prospect ones is a must today.